You can experience an amazing view along the way and from the top of the mountain. 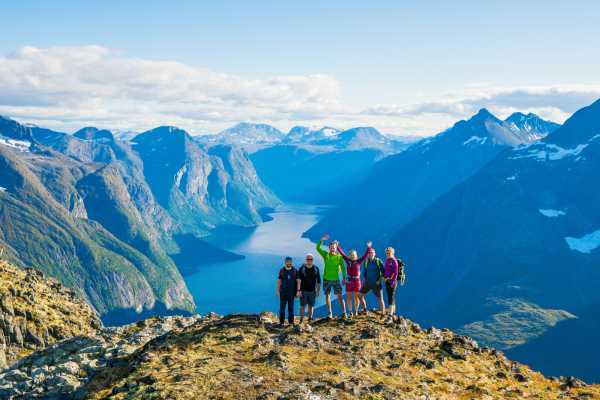 It is a very popular hike trip among the people from Molde. There is a marked free parking on the right side of the road after Jendem settlement (road 228). There is a marked path starting from the parking. The first part of the way takes you along the back of the mountain, which is quite steep at some points. There might also be some wet and damp parts, so you need to have good hiking shoes. After around 20 minutes the path will be easier, and you will walk in a forest for a while. Just follow the way and the signs. After you come out from the forest you will start the steepest part toward the peak. Already at this part you will see some breathtaking views which will be even more spectacular on the top. Estimated time (up and down): 4-6 hours.